Do you like to add fun flavors to your lemonade? 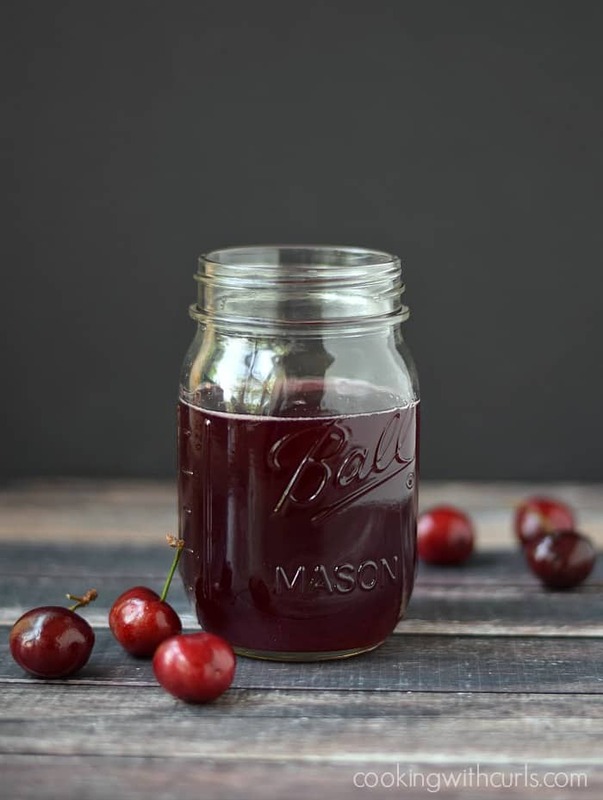 It is amazing how much difference a Tablespoon of Cherry Simple Syrup can make. It can turn an ordinary lemonade or tea into a designer drink in no time. Once I made Simple Syrup for the very first time, I had all different flavor ideas running through my head. Adding flavors to your simple syrup only adds one additional step. 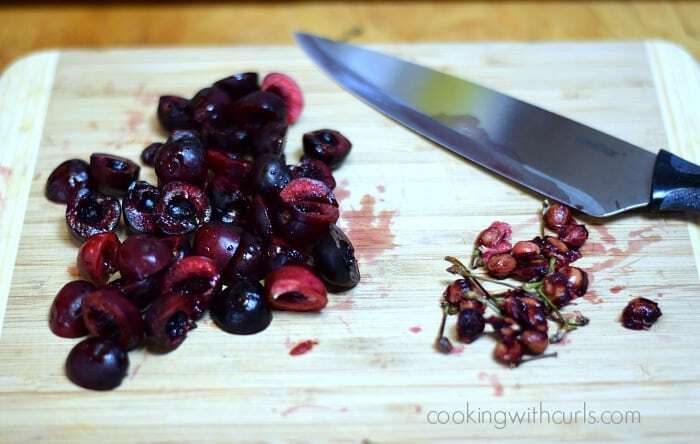 Start by cutting each cherry in half, and remove the pit. I did this with my finger nails, but I am sure there is a gadget out there to make the process easier! 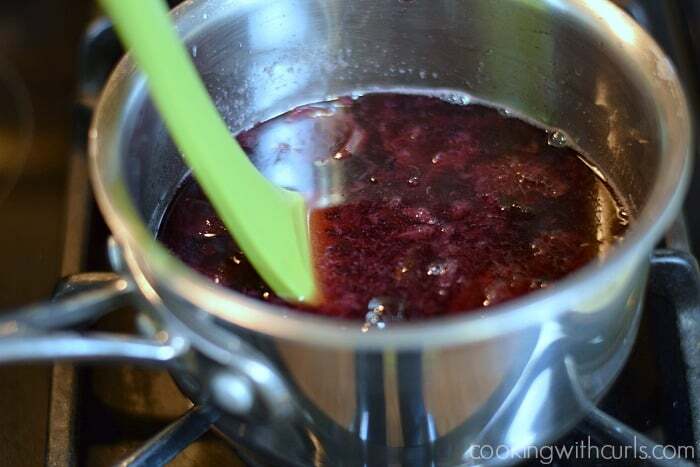 Simmer for 10 minutes, reducing heat if mixture starts to boil….. 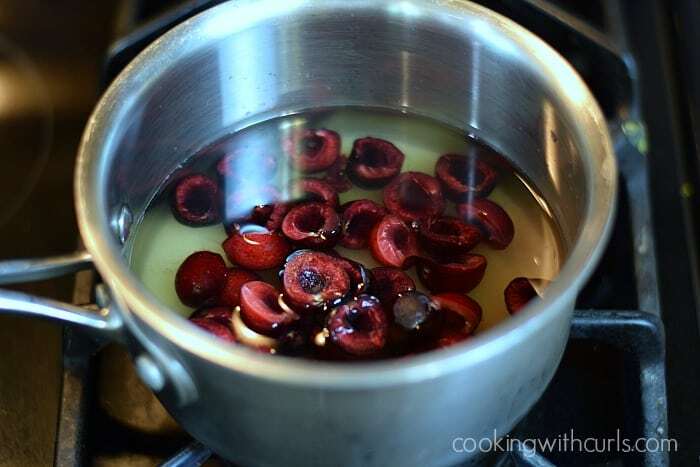 Remove from heat and smash cherries with a potato masher….. Allow to cool for 10 minutes, then pour through a mesh strainer into a bowl or cup. 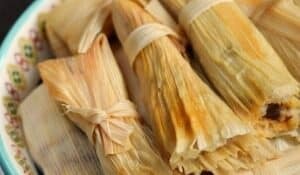 Use a large spoon to push as much liquid through the strainer as possible…..
Store in a sealed container in the refrigerator until ready to use. It should be good for up to six months, assuming you don’t use it all up before then. 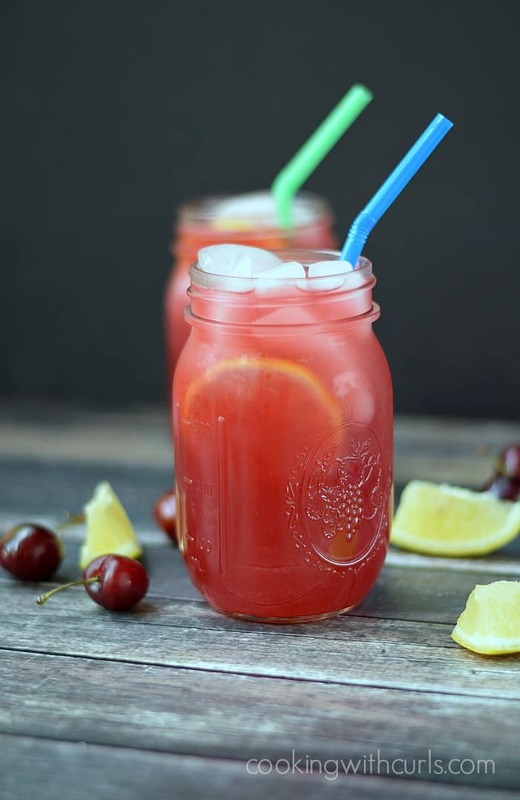 I made this refreshing Cherry Lemonade with this syrup….. If you are looking for a sweetener without a flavor, try this Simple Syrup. What flavors do you think I should try? What are your favorites? 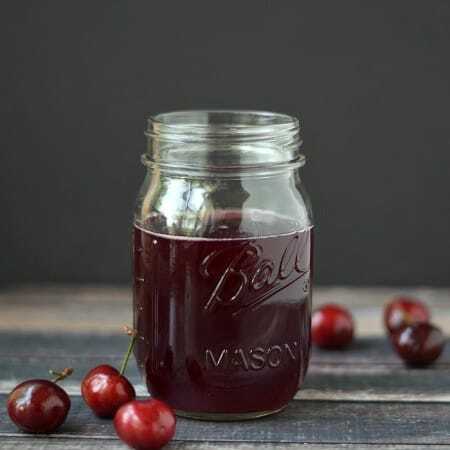 Add some cherry flavor to your favorite beverages with this Cherry Simple Syrup. 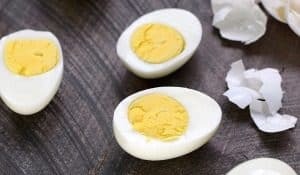 You won't believe how simple it is to make! 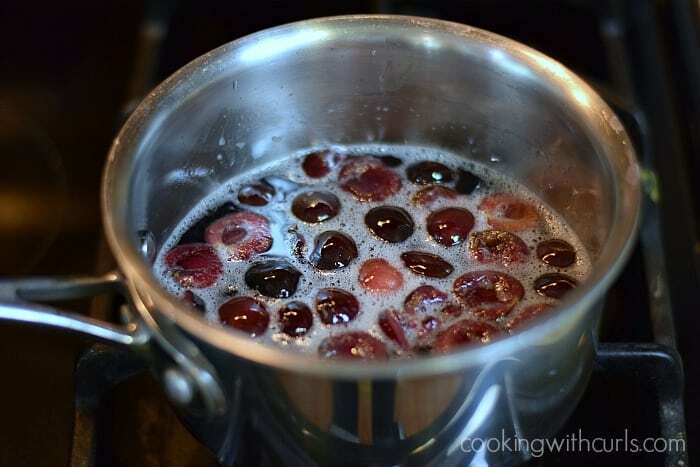 Heat the sugar, cherries, and water in a medium saucepan over medium-high heat. 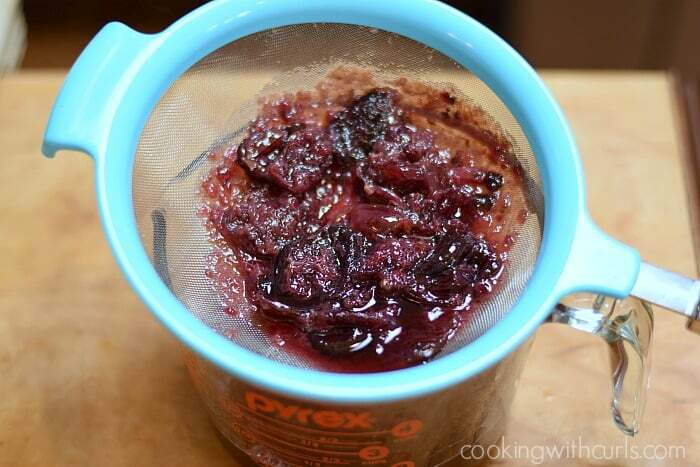 Remove from heat and smash cherries with a potato masher. I just bought cherries! Yay!! 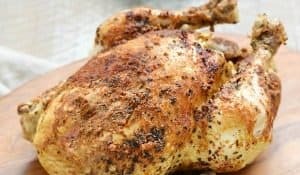 This looks like a good recipe to have – I have bought frozen cherries at Sams before and the pits are removed – I wonder if you could use them in this recipe and then you don’t have to remove the pits.